The formidable 'Nuclear Wintour' has had her job description extended from editor of American Vogue, to artistic director for the whole publishing house. Wintour has been editor-inc-chief of American Vogue since 1988 and was already one of the most powerful women in publishing, but now she has been moved even further up Conde Nast’s executive ranks. As artistic director, she will be a sounding board for all of the publishing groups editors. The promotion has lain to rest some rumours that Wintour was on the verge of being cherry-picked for a role in the Obama administration. At one point she was lobbying to become the ambassador to the UK. 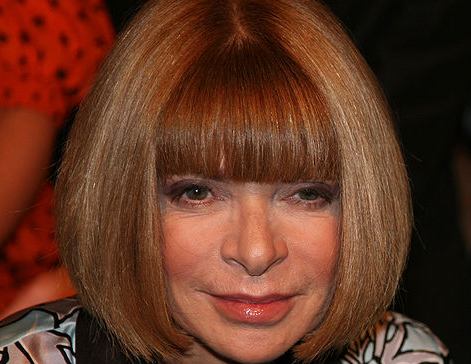 Furthermore, the publisher’s chief executive, Charles Townsend, said: ‘I would go great distances to avoid losing Anna, particularly in the prime of her career.’ Wintour is 63, so this is very good news for a soon-to-be OAP. Stil, it looks like the woman who inspired ‘The Devil Wears Prada’ isn’t going anywhere soon.